Line a baking tray or cookie sheet with baking parchment. In a small bowl, mix flax seeds and 1/4 cup water stir well and keep aside. In an another bowl mix the flour, rolled oats and baking soda together. Then combine brown sugar and granulated sugar in a bowl. Add in the dry ingredients and mix again until well blended. Now stir in shredded carrot and mix well. Using 1 tbsp scoop, drop out the dough on the prepared cookie sheet. Bake in a preheated oven at 180 C/350 F for 18 to 20 minutes or until golden brown at the edges. Once done, allow the cookies to cool on wired rack. Store the cookies in an air tight container, the cookies stays good in room temperature for 5 days. To the Same Recipe, instead of carrot you can also use 1/3 cup sweetened coconut flakes, if so reduce 2 tbsp sugar. You can also some chocolate chips or nuts to this recipe. 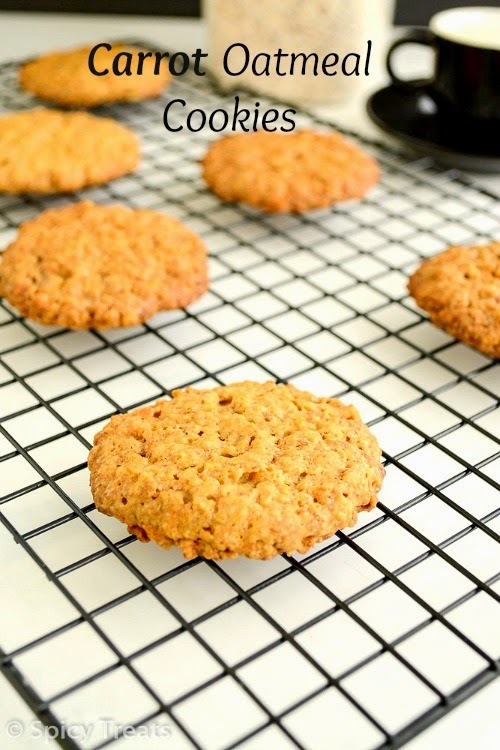 I added scant 1/4 cup of brown sugar and granulated sugar, the cookies were mild sweet and perfect for us. Use 1 tbsp scoop or divide in to small balls and flatten lightly using back of the spoon. I used unbleached All Purpose Flour. 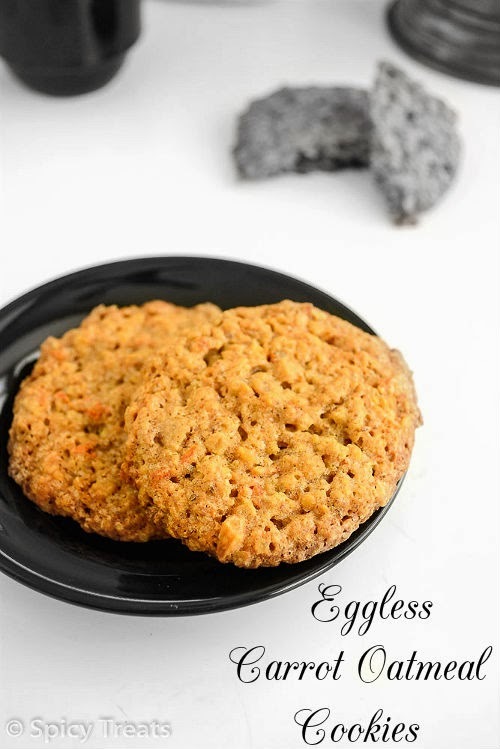 For this recipe if you want to try it with Egg then use 1 large egg. 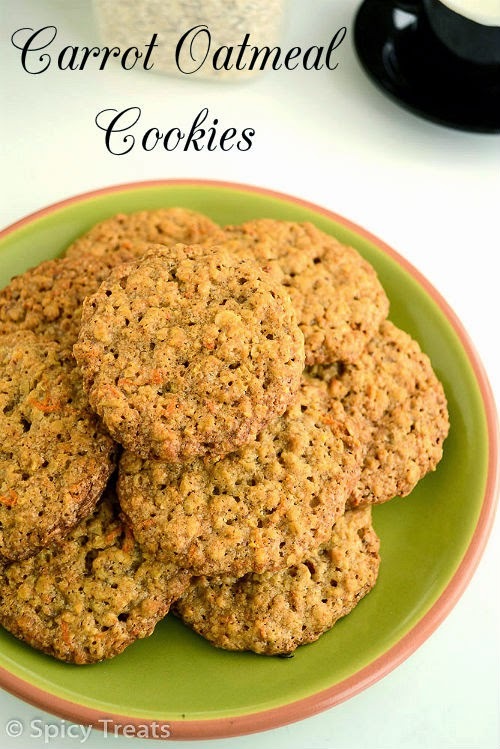 Healthy cookies! Looks so delicious! 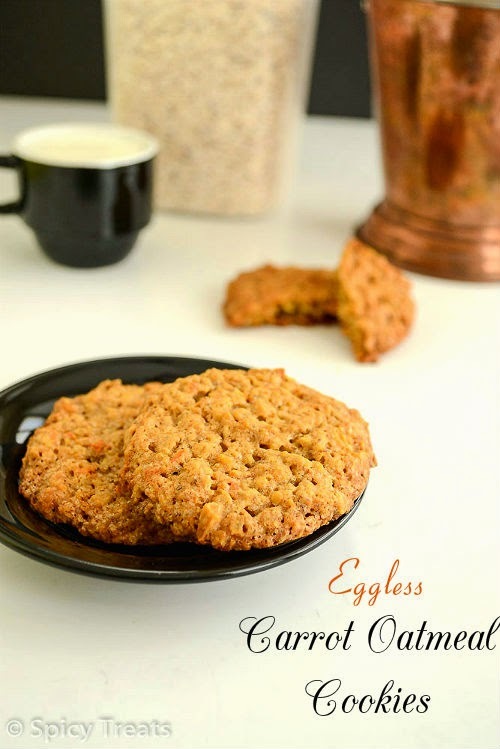 Cookies with carrot...sounds interesting and am jus searching for some healthy choices..this shud suffice..
healthy, delicious cookies.. Nice clicks..
Can we skip oatmeal and try only with carrot ?